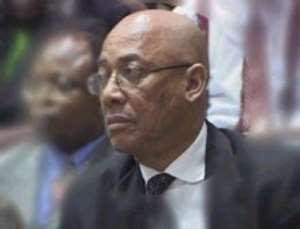 The Commission of Human Rights and Administrative Justice has challenged Mr Kwame Addo, a former member of the board of Directors of the Social Security and National Insurance Trust to return to Ghana and clear his name against allegations of misapplication of SSNIT funds, corruption and conflict of interest. A release by the acting commissioner of CHRAJ, Ms Anna Bossman said it had made several efforts to contact Mr Addo to answer the charges levelled against him without success because he has travelled outside the country. The statement said it has reason to believe that Mr. Addo left the country to avoid being served with the notice. The CHRAJ statement was in reaction to an advertiser's announcement carried to recently in an Accra daily that sought to exonerate the SSNIT board member of the charges before CHRAJ. The advertisers announcement was based on a decision of an Accra High Court on March 12,2004 that set aside a January 28 2002 ruling by CHRAJ, which contained adverse findings against Mr. Addo. The charges had been brought by JoyFM, an Accra based radio station acting through its morning show host Komla Dumor. The complaint filed to CHRAJ alleged among others things, several instances of misapplication of SNNIT funds, corruption and conflict of interest. The High Court had set aside its decision on the basis that Mr Addo had not been given the opportunity to answer to the charges. CHRAJ explained that it took that it went ahead with its ruling because Mr Addo had failed to repond to its service of notice of complaint against him.